The responsibility of an instructional coach is to support teachers in classroom environments in order to improve performance both from educators as well as students. 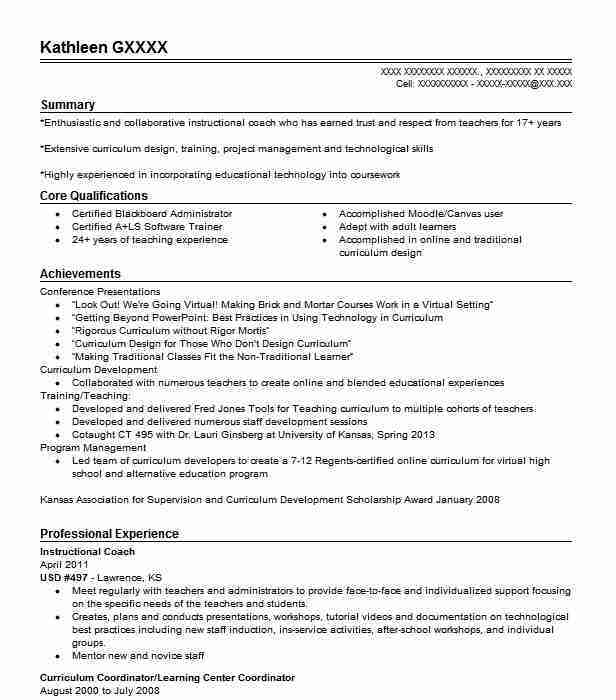 Job duties typically include observing and advising peers, analyzing compiled data, evaluating and developing lesson plans, and other functions related to the improvement of teaching programs. A quality objective statement is needed to properly detail your experience, knowledge, and relevant job skills for employers. Candidates should discuss prior professional experience in classroom environments as well as formal education relevant to instructional coaching duties. Good qualities to detail can include refined written and verbal communication abilities, interpersonal skills, and a talent for observation and evaluating performance. Highlight your abilities to manage multiple tasks, to deliver honest and constructive feedback, and your attention to detail. Familiarity with the local school system can also be considered valuable in many districts. 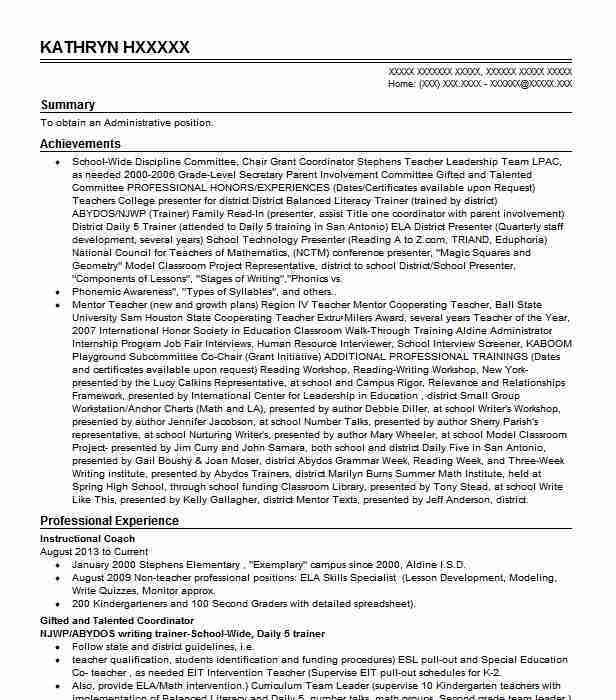 An objective statement should contain a concise breakdown of your training, professional background, and accomplishments while displaying a strong interest in the educational institution you’re applying to. Referencing the organization directly by name is a good way to reaffirm your focus and commitment. 1. 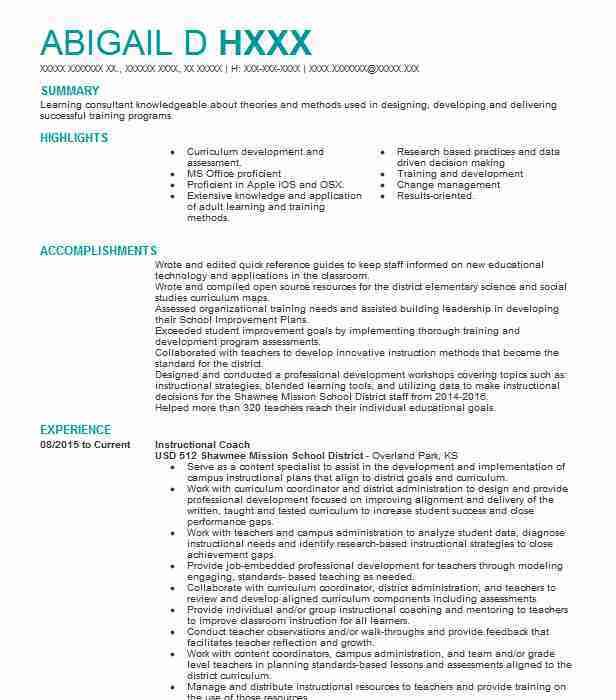 Motivated instructional coach seeks employment at ABC School to improve learning and teaching experiences through focused attention, constructive feedback, and a creative approach to enhancing lesson plans. 2. Seeking instructional coach role with ABC School to apply master’s degree in leadership and coaching in order to promote effective development of both students and staff. 3. 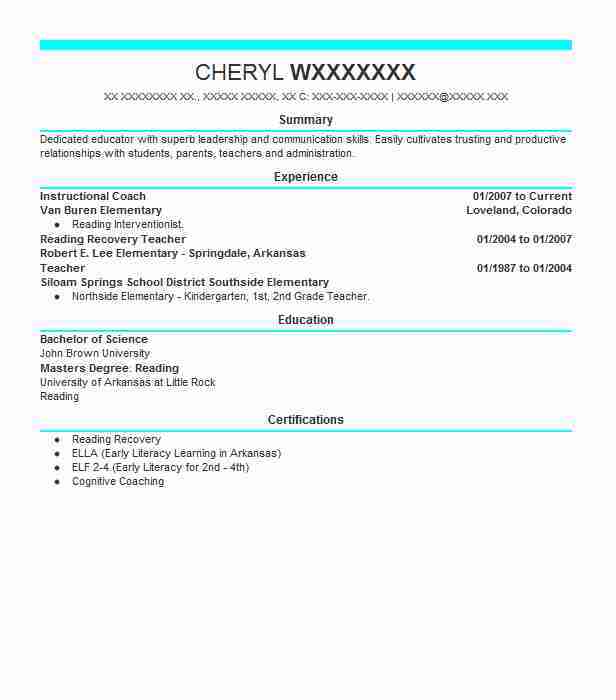 Experienced teacher seeks instructional coach position with ABC School to utilize master’s degree in instructional leadership, sound judgment, and proven track record of instituting successful learning plans. 4. Detail-focused instructional coach seeks employment opportunity with ABC School to continue successful career in a challenging, rewarding classroom environment. 5. 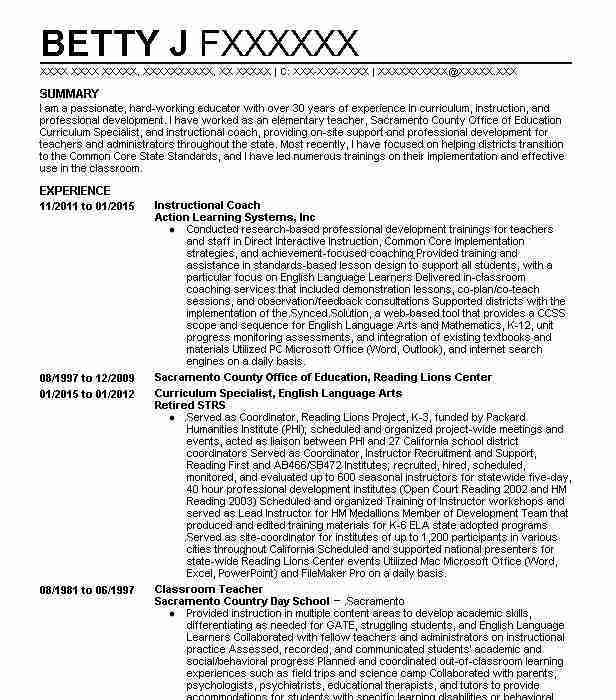 Experienced educator seeks role as instructional coach at ABC School to utilize 10+ years of teaching experience and a master’s degree in leadership and coaching to elevate student achievement and teacher performance. Summary: To obtain an Administrative position.